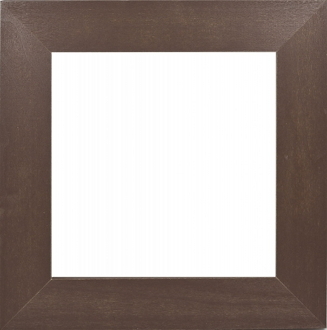 Wooden Frame Chocolate. Front opening 5.5" x 5.5". Back opening 6" x 6". Overall 8" x 8". Designed to use with Mill Hill Cross Stitch kits. Includes dowel for easel display.